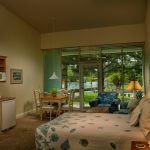 Ask fellow campers about "Dunedin RV Resort & The Blue Moon Inn" and nearby attractions. 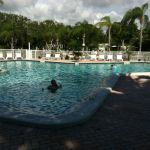 Friendly staff, great pool and overall the grounds are well kept. Restrooms and laundry room were spotless. Great location and close to everything. Snow birds were arriving and everyone was very nice and gave great tips on where to eat and visit. Two negatives caused my low rating: terrible mosquito population at dusk and the terrible sewage type smell coming from the stagnate water behind out site. Both made sitting outside not enjoyable. We had a great visit and I would consider staying here again if I could pick my site. We camped at Dunedin RV Resort & The Blue Moon Inn in a Motorhome. Good eats in downtown Dunedin and a drive to Clearwater Beach is worth it! Stayed here multiple times, always a nice experience. Good power, water, no satellite reception in pull thru's due to trees. Lots to do close by. We camped at Dunedin RV Resort & The Blue Moon Inn in a Motorhome. Must visit Molly Goodheads for a great meal! Bring your bikes for the trail. Would have given this park a 10 but for the mosquitoes at dusk. Unfortunately the park cannot spray repellent because of the restrictions for endangered species in the nearby swamp. Check in was a breeze. Maintenance came by to assure that all was well. Nice clean pool and restrooms. Short hop to Honeymoon island, which had a pet beach, just south of the public beach. A lot of trees. If you have satellite, make sure that you request a site with clear southern exposure. My next door camper allowed me to sit my portable antenna on his site for signal. Right on the Gulf! We will return. We camped at Dunedin RV Resort & The Blue Moon Inn in a Motorhome. This is a nice campground close to Honeymoon Island. Campground is a mix of permanent and transient sites, and all are clean and nicely landscaped. The pool is large for a campground and was always well kept. We enjoyed 2 weeks here. The facility is nice, the residents are great and the manager and staff could not have been better. We'll be back! We camped at Dunedin RV Resort & The Blue Moon Inn in a Motorhome. Visit the sponge docks at Tarpon Springs for Greek food and some interesting history of the area. Visit the Pier at Clearwater for sunsets & street performers. Visit downtown Dunedin for great food & shopping. Thanks NorthGaCamper for your review. We are happy you enjoyed your stay and appreciate the very nice compliments about our resort staff. We look forward to having you stay with us again! This resort is mixed use; class a, b, c travel trailers etc. The site was plenty long for 40 foot class a and a jeep. Sites were close by but not crowded and the street was narrow. They have park models for rent as well as full time residents. Although some of the amenities are older they are clean. 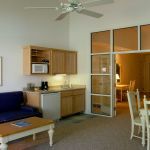 The resort is convenient to the causeway and Pinellas Trail which we loved. I would return. We camped at Dunedin RV Resort & The Blue Moon Inn in a Motorhome. Be sure to watch a sunset at Honeymoon Island, paddleboard / kayak at the causeway, bike the Pinellas Trail, visit downtown Dunedin and enjoy great food at Lucky Lobster and Jupiter Donut Co. Thank you These Itchy Feet for your great review. So glad you enjoyed your stay at Dunedin RV Resort. We look forward to having you back again! Thank you ToyTowner for letting us know about your wifi experience. We have been working with our provider to improve our service strength. We hope to see you again in the future. Nice RV park with level cement pull-thru full hook-up 50-amp sites and cement patio with picnic table. Quiet. Close to beach. Very near great bike path. No wifi or cable. (Were told WIFI had been ordered.) Warm pool; no hot tub. Lots of long-term but well maintained rigs in the back area. Front area has the short-term rigs. Nice staff; friendly park. Cost seemed a high, given the amenities but it is near beach and centrally located which probably explains it. Place is popular; have to reserve ahead, especially during Snow Bird Season. Definitely would stay here again. 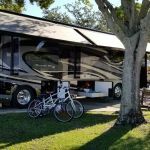 We camped at Dunedin RV Resort & The Blue Moon Inn in a Fifth Wheel. Dunedin is a charming town; easy to reach on the bike path. Dunedin has a number of craft breweries - again, EZ to reach on bikes. Near Clearwater (beautiful beaches), Honeymoon and Caladesi Islands, Tarpon Springs (sponge fishing), and more. This is a very nice park with spacious sites with full concrete pads & patios. Pull thru and back-in sites. Back off the roadway so it was quiet at night. Full hookups with cable TV, which did not have very good reception. Over the air reception was not good either. They have a clubhouse and a pool but no spa. The location is great for taking in the sites and beaches of the area. Tarpon Springs and Clearwater Beach are a must. We camped at Dunedin RV Resort & The Blue Moon Inn in a Motorhome. We have stayed at Dunedin park multiple times the last 3 years. Arrived right after Hurricane Irma, and the park was empty and quiet. Park is located about 30 minutes off major highway but good roads in. Internal roads good, good size check in, and check in was easy. Our site was pull thru, level, concrete, full 50 amp hook up with patio and picnic table. Our site just fit the 40' Rig plus tow. The sites up front are tight to get into, therefore easier to unhook tow in check in area before proceeding to site. There is additional parking located nearby. Some sites are open, other have tress that drop acorns or leaves certain times of year. Park maintenance was working hard to clear storm debris. WiFi was out due to the hurricane, and was not available even after two weeks. Park doesn't have cable. We were on an end site, therefore able to get satellite. There is a small dog park, good size pool, large club house, plenty of activities. This trip I found a borrowing library in the main club house. The bathrooms are clean as are the good size laundry rooms. However, the bathrooms and laundry rooms are starting to show age. Bring bug spray as the park is surrounded by wetlands. We camped at Dunedin RV Resort & The Blue Moon Inn in a Motorhome. Great location, near Causeway to Honeymoom Island. Close to bike/walking trail. Also near Dunedin, great place to walk around and good restaurants. Small town Ozone, is located nearby! We have stayed at this park several times and have enjoyed the friendliness of the office staff, the excellent swimming pool, and the also the excellent pull through sites that we have used. No cable available. WiFi is anemic unless you use it while at the office. The park is well maintained, and they have added lots of nice landscaping since our last visit. The problem this time, which we have never experienced before, was mosquitoes, hordes of them, day and night. Mosquitoes are a problem in the area because of significant rainfall lately, but I don't think the park is doing anything proactively to address their own problem. They say they have asked the county to spray the wet areas, but I don't think they have done anything to mitigate the problem themselves. The county is not going to address the mosquitoes in the public bathroom or at the sites closest to the drainage ditch running behind some RV's or the wetland closest to some RV's. Getting county instructions on how to be proactive is something I expect when I am paying a daily rate to stay on the site. Marked public restroom (non-air conditioned one) down because of hordes of mosquitoes. We camped at Dunedin RV Resort & The Blue Moon Inn in a Motorhome. Love this park. The Pinellas bike trail is accessible within a block of the park. You can ride as far as St. Petersburg and North to Tarpon Springs. Riding into the lovely town of Dunedin is fabulous! You are only 3\4 mile from the Dunedin causeway that takes you to Honeymoon Island. Beautiful beaches! If you need the Blue Moon Inn for family or friends, I would highly recommend it! The ONLY negative is the bugs, which can be unbearable. The no see ums are awful! Need lots of nontoxic bug juice! We camped at Dunedin RV Resort & The Blue Moon Inn in a Travel Trailer. Close to Publix, even by bicycle. And there is a Sprouts opening in Palm Harbor in July. If you belong to LA Fitness, there are several close by. Also, we liked to frequent Ozona Blue restaurant across the road. Another favorite spot is the Olde Bay right on the water for a quick bite. Serendipity in town is a healthy cafe with vegan choices, and they are gluten free. This park has two separate sections. The front is FHU 50 amp pull-thru sites with paved pad and patio. The back section is for long term residents and are more gravel and grass sites. Overall, this park was good with nice pool, shuffleboard, bean bag toss, laundry rooms and clubhouse with some activities run by residents. WiFi worked fine in front section, not sure about back area. Great biking trails all around the area with access right in front of RV park. Nice park, but a bit overpriced for our liking, but that seems to be true in all of Florida. 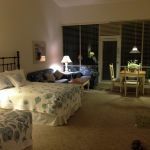 We camped at Dunedin RV Resort & The Blue Moon Inn in a Fifth Wheel. Enjoyed visiting Tarpon Springs, Clearwater and Honeymoon Island State Park while here. Great biking trail that runs for miles and miles right outside park. What we liked: great location. Close to a lot of things to do and beautiful beaches. Close to shopping that we needed. Very nice pool area. Lots of grassy areas to walk dogs. Friendly people. The nearby bike trail is fabulous! What we didn't like: No cable TV and no OTA channels except Fox. Directv satellite didn't work because of trees. Slow wifi. Acorns and lots of them dropping on our MH day and night. Startling at first but you do get used to it. I'm sure it's seasonal though. Grass seed pods that stick to our dogs fur. It was a constant battle during our stay. The dog park was full of them. We were in site 6 which is by the pool. We would only stay here again if in the first three rows up front. They are the nice concrete sites. Others in the back aren't as nice. We camped at Dunedin RV Resort & The Blue Moon Inn in a Motorhome. Spaces are tight for motorhomes. Manuvering in & out is tight. Terrible WIFI. No cable at all. HD tv channels are few and most in spanish. We camped at Dunedin RV Resort & The Blue Moon Inn in a Motorhome. We have stayed at Dunedin park multiple times. The park has changed since being bought by Sun Properties. Although they are bringing in new mobile homes to rent or for purchase and cleaning up the landscaping, they don't seem to enforce the rules any longer. Don't have an issue with dogs, laundry, toys etc, but do when it's spread out all over the sites. Laundry hanging from trees. Dog kennels set up with barking dogs, owners leaving dogs outside unattended. Vehicles allowed to be parked on grass. First 3 rows are transient, and tight. Big rigs fit, however we had a neighbor who parked his truck on the grass right next to our rig. Another put a dog fence up using our Rig as one side of fence. Also, WiFi connection is spotty, just depends on the time of day, and the occupancy. They currently don't have cable. Not a snob but when you pay a premium price, you come to expect premium experience. However, this is still a good location if you don't mind a few annoyances. We stayed for 2 weeks on a site located up front. Good concrete pads, close to level with patio and picnic table. Sites are close to each other, and in & out will be tight. We have a 39ft but had no issues. The park is located about 30 minutes off major highway, but good roads to park. Pool is heated during cool days! Laundry room was clean and plenty of machines. The staff is fantastic. Fenced dog area has been under water on our last two visits, and therefore disappointed we couldn't let the dogs run. Bring bug spray as the park is surrounded by wetlands. We camped at Dunedin RV Resort & The Blue Moon Inn in a Motorhome. Close to Pinellas trail, restaurants, shopping, fruit stand and Honeymoon/Caladesi Islands. Benedict's for breakfast, Frenchy's Outpost, but NOT on a weekend! Bon Appetit for a high end meal on the patio at sunset, loved BBQ at Ozona Pig. Fried corn on the cob! Found Ozona Blue to be more hype then quality, plus they allowed smoking on the patio and a woman was smoking a CIGAR all through our dinner. YUCK! Unfortunately also experienced an urgent care (fingers slammed in the door of the RV OUCH!) and recommend Clearwater StatMed Quick, next to Dillards, about 5 miles. Near to and convenient to the Gulf. Nearby Tarpon Springs is a must visit! Downtown Dunedin, Honeymoon Island, Island. Thirsty Marlin to eat. 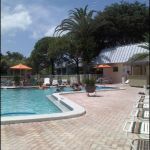 Are you affiliated with Dunedin RV Resort & The Blue Moon Inn ?